It was built from 1609 to 1616, during the rule of Ahmed I. Like many other mosques, it also comprises a tomb of the founder, a madrasah and a hospice. 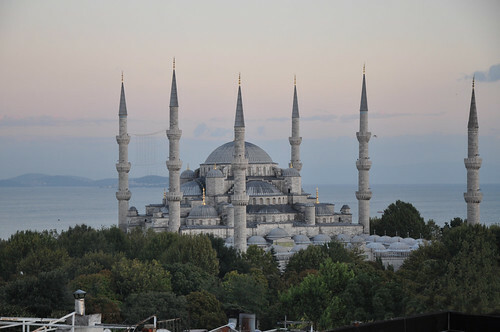 While still used as a mosque, the Sultan Ahmed Mosque has also become a popular tourist attraction. The design of the Sultan Ahmed Mosque is the culmination of two centuries of both Ottoman mosque and Byzantine church development. It incorporates some Byzantine elements of the neighboring Hagia Sophia with traditional Islamic architecture and is considered to be the last great mosque of the classical period. The architect has ably synthesized the ideas of his master Sinan, aiming for overwhelming size, majesty and splendour. 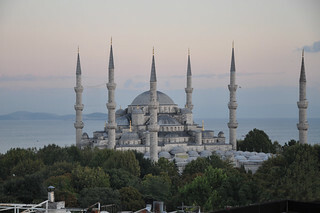 It has one main dome, six minarets, and other eight secondary domes.